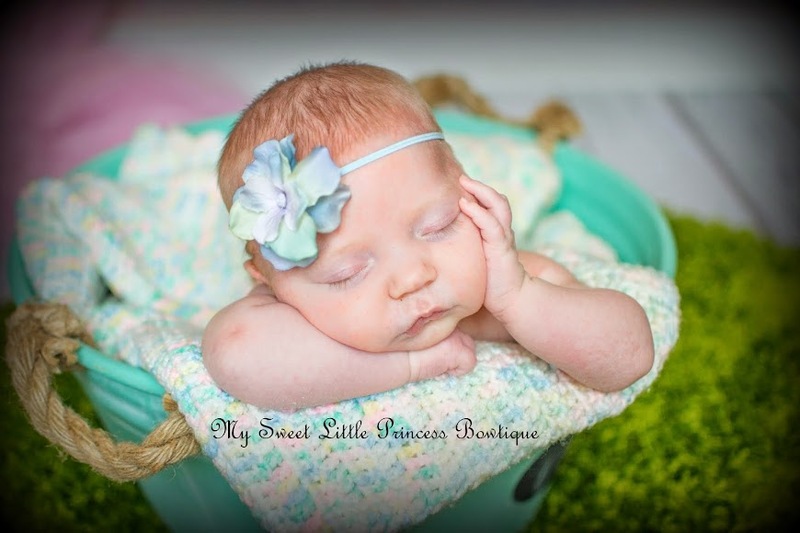 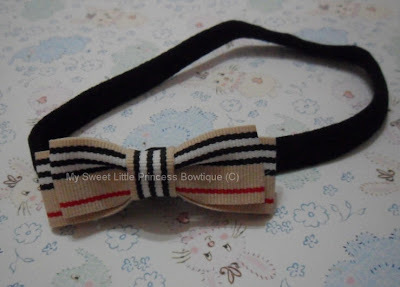 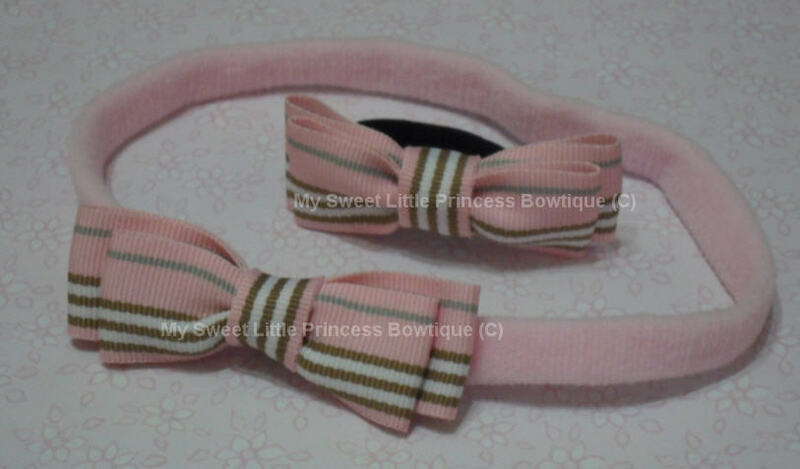 A matching bow clip/pony-o and bow headband. 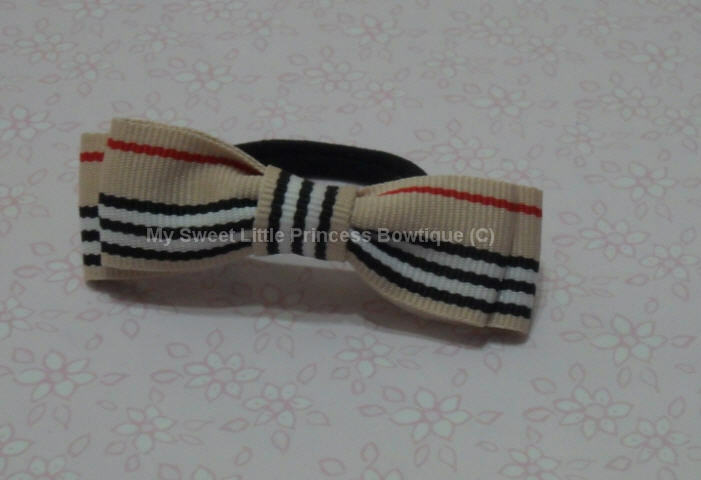 The bow size is around 3 inch wide. 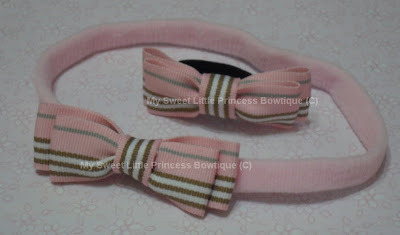 Other suggestions in Kayla Blvd print - also very nice!